Save up to $12,000 on Hot Tubs, Swim Spas and Pools! Therapy, fitness & fun – all in one, all year long! Fun for your whole family in our exclusive Self Cleaning Above Ground Pool! We service what we sell-Happy loyal customers since 1976! 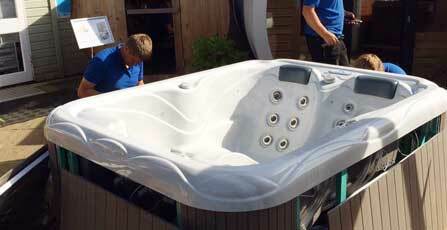 Our family operated retail store offers high quality self cleaning hot tubs, swim spas & above ground pools. We stay open year-round, so our friendly, knowledgeable pool and spa specialists are here to provide expert information, answers, and recommendations on all your pool and hot tub product needs. They may be a little more than the "other guys" but well worth it. They don't try and sell you things you don't need. Very respectful and reliable staff.